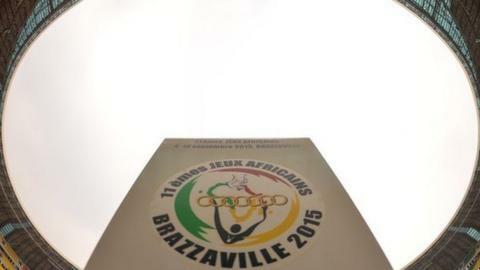 Senegal's men and Ghana's women became first time winners of the African Games football tournaments following Friday's finals in Brazzaville. Senegal's men faced Burkina Faso for the title with both sides looking for a maiden African Games crown. Senegal sealed their victory just two minutes into the final, thanks to a Moussa Seydi strike. Goalkeeper Kouakou Koffi pushed a Cheikhou Dieng cross into the path of Seydi who slotted in from close range. Senegal created more chances after that, but there were no more goals. Ghana's women also won the African Games football tournament for the first time when beating Cameroon 1-0 in Congo. The left-footed strike from just inside the penalty area came moments after Cameroon goalkeeper Isabelle Mambingo had saved Agnes Aduako's penalty. The victory was revenge for the Black Queens, who lost the women's final to their Cameroonian counterparts at the last tournament four years ago. "Our gallant ladies have made our dear nation proud," tweeted the captain of Ghana's Black Stars, Asamoah Gyan, after the game. The African Games, formerly known as the All Africa Games, is a multi-discipline sports event, featuring 22 different events, which is held every four years. The football tournament is restricted to under-23 players.